A children's museum in Chicago wanted to encourage kids to be creative, so they created an exhibit dedicated to their creations from simple cardboard boxes. 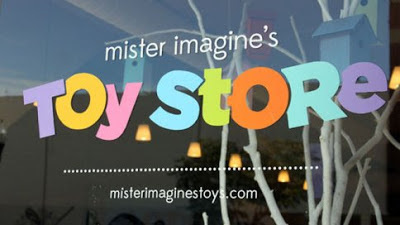 To promote it, they hired Energy BBDO and Xi who together created an adorable little pop-up store called Mister Imagine's Toy Store. There kids can pick out a box and create something amazing in the art room, or work with an art facilitator to create something cool with augmented reality. And when they are done, they can record their experience in a photo booth.